The results of the Central Communications Board’s Communications Competition were announced on the last day of this year’s General Synod in Armagh. We are delighted that the ‘Scribe on Tour’ won a highly commended award in the Diocesan Magazine category. The aim of this competition is to showcase good examples of how printed communication is being used to build Christian community and communicate Christian faith. David Jones was at Synod to collect the award and we would like to recognise the work of Ruth Garvey-Williams and Tara McCormack in producing a fantastic publication that gave us a real flavour of the vitality of church life across the diocese. 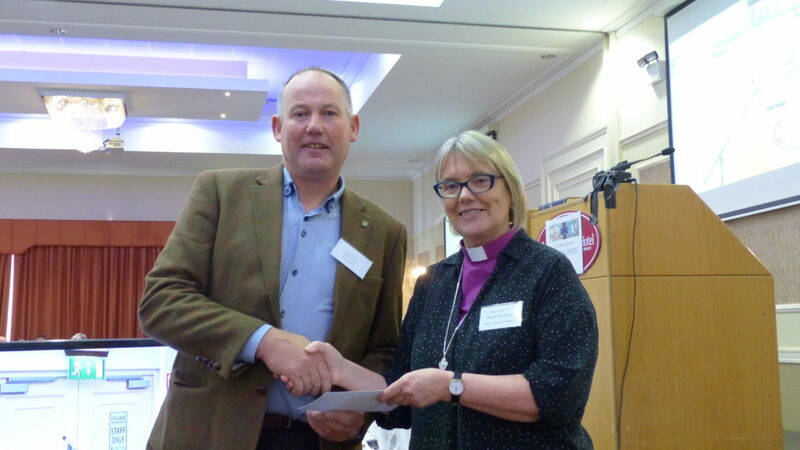 David Jones receiving a ‘highly commended’ award in the Church of Ireland Communications competition from Bishop Pat Storey.